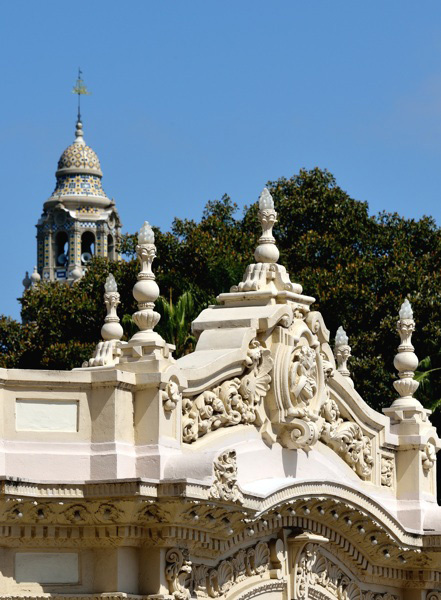 Experience powerful world-class music in Balboa Park’s most majestic open-air setting. Discover international talent pushing the artistic boundaries of a traditional sound. No-cost admission to these concerts is made possible by the City of San Diego, the Spreckels Organ Society, and its members. After last year’s outrageously successful finale concert, Raúl Prieto Ramírez and the Spreckels Organ Rock Band are back, this time to open the Festival with a shot of music adrenaline! This popular concert draws a diverse crowd of over 5000 locals and will kick off the summer. Immensely talented San Diego Civic Organist Raúl Prieto Ramírez is one of the most exciting musicians on the international scene. Performing a wide range of classical and popular repertoire with the flair and bravado of a Spanish matador, Raúl gives audiences a dose of passion for music and life. Theatre organ concerts are a favorite among American audiences, and we always look for the best. Award-winning theatre organist Dave Wickerham, a California native, was named American Theatre Organ Society Organist of the Year in 2011 – the best of the best. His popular performances have made him a featured favorite around the world in unique settings. His fourth CD recently sold out and he has several new recording projects soon to be released. The Spreckels Organ Society devotes one festival concert each year to a showcase of some of the brightest rising stars of the organ world. This year the featured performers will be the 2018 first-prize winners of two prestigious national competitions for young organists – Aaron Tan (American Guild of Organists) and Luke Staisiunas (American Theatre Organ Society). Possessing nearly unparalleled talent to make the organ sound like a whole orchestra, Peter Richard Conte is known for his brilliant ear for tonal color and innovative style. As Wanamaker Grand Court Organist at the Macy’s Department Store in the heart of Philadelphia for more than 30 years, he presides over the world’s largest, fully functioning musical instrument with over 29,000 pipes. A masterful and enthralling performer, Mr. Conte will present a duo concert with flugelhorn player and organist Andrew Ennis. Titulaire of the grand organ at Saint-Eustache Church in Paris – the largest in France – and newly appointed Organist in Residence at Maison de la Radio (Radio France Concert Hall), Thomas Ospital has quickly earned a place among the world’s finest concert organists. Ospital has only recently become available to play in the USA. The San Diego International Organ Festival will be one of the first to bring his amazing artistry to our country. When it comes to describing the work of Gunnar Idenstam, Gramophone said it best: “His organ compositions occupy their own universe — part hard, progressive rock, part elfin folklore, part nave-shaking French symphony. Idenstam’s touch of the organ is as funky as it is majestic.” A busy and successful career in Europe has kept Idenstam from visiting the United States. The San Diego International Organ Festival has the honor and privilege of presenting him in the US. After his mind-blowing 2018 concert of organ and piano with Maria Teresa Sierra, Raúl Prieto Ramírez presents – for first time ever – a concert featuring famous string and piano quartets, duos, and trios by composers like Brahms and Franck with the piano part arranged for the organ. Chamber musicians, including members of the San Diego Symphony, will join Ramírez onstage for this astonishingly creative evening. It’s the most popular concert of the festival, drawing audiences of all ages into the thousands, and it’s in great hands with organist Clark Wilson who has been called a “master of silent film, and showman of the first order.” Wilson has recorded seven albums, concertized in the US, Canada and England, and done extensive silent movie accompaniment across the nation including Los Angeles’ Walt Disney Concert Hall where he is invited back year after year. Joining together with the Pacific Southwest Railway Museum to celebrate the 100th anniversary of the San Diego & Arizona Railway, which was built by John D. Spreckels and completed in 1919, Movie Night will feature “Chasing Choo Choos,” which was filmed along the San Diego & Arizona Railway in San Diego’s back country. The nonprofit Spreckels Organ Society was founded in 1988. Federal Tax ID: 33-0299072. All artists subject to change. Photo credit Robert Lang.